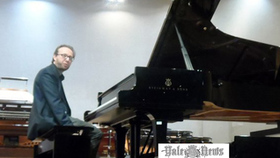 Roberto Prosseda is a highly gifted pianist most closely associated with the lesser known piano works of Felix Mendelssohn. 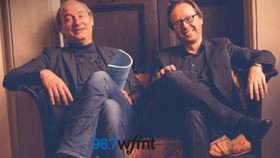 Indeed, his Mendelssohn series of recordings for Decca carries the words "rarities" and "discoveries" on the covers, and the repertory -- the recently unearthed Piano Concerto in E minor (the so-called No. 3, reconstructed by Marcello Bufalini) and various solo works previously unrecorded -- fully lives up to the claims. 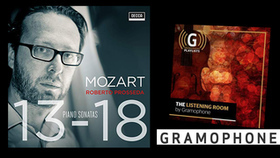 Prosseda has also ventured onto other fairly uncharted turf, recording the complete piano outputs of Goffredo Petrassi and Luigi Dallapiccola, the latter series earning five Diapason awards from the influential French musical magazine Diapason. 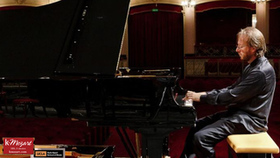 Prosseda has appeared at some of the most prestigious concert venues across Europe and the U.S., including Carnegie Hall, the Berlin Philharmonie, and Wigmore Hall in London, sites where he introduced the Mendelssohn E minor Piano Concerto. Despite his devotion to the little known, Prosseda's repertory is hardly limited to it: he plays an array of works by J.S. Bach, Haydn, Mozart, Schubert, Chopin, Brahms, and many others. Prosseda is also a highly respected musicologist, a factor giving him an edge in excavating rarities by Mendelssohn and others, as well as editing problematic compositions. 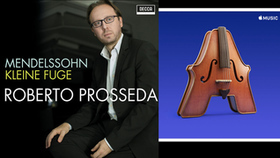 Prosseda's recordings are available on the Decca and Naxos labels. Roberto Prosseda was born in Latina, Italy, in 1975. 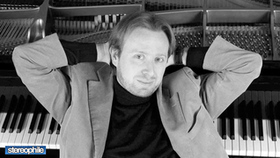 From 1994-1998 he studied at the Accademia Pianistica in Imola, where his most important teachers were Boris Petrushansky and Alexander Lonquich. 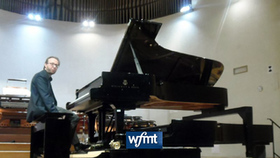 He had subsequent training at the Cadenabbia, Italy-based International Piano Foundation under Leon Fleisher, Charles Rosen, Dmitri Bashkirov, and Karl Ulrich Schnabel. 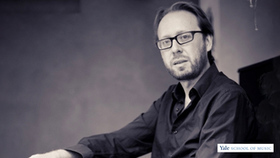 Prosseda won a string of piano competition prizes, including at the Franz Schubert Competition in Dortmund and the Salzburg-based W.A. Mozart Competition. 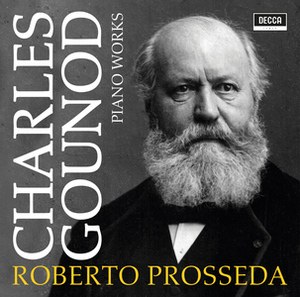 In the early years of the new century, Prosseda began appearing regularly at major concert venues in Europe, Asia, and the Americas and was also active unveiling and championing many previously unknown piano works of Mendelssohn. 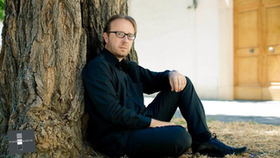 In the 2007-2008 season Prosseda presented many of these discoveries and rarities on tour in Berlin, Leipzig, Milan, London, Toronto, the Kuhmo Chamber Music Festival (Finland), Ravenna Festival, Maggio Musicale Fiorentino, and other notable venues. 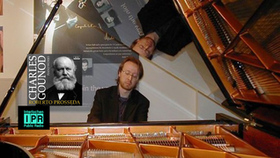 Prosseda launched his acclaimed series of Mendelssohn piano works for Decca in 2006 with the album Mendelssohn Discoveries, which contained 13 previously unrecorded solo piano pieces. Among his later recordings is the 2009 Decca CD containing the Mendelssohn E minor Piano Concerto, with conductor Riccardo Chailly. WCMU, Mt. 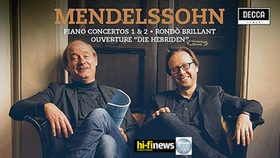 Pleasant MI is "Happy to debut 'Mendelssohn Project' with Roberto Prosseda"
Roberto Prosseda continues his Mendelssohn project on the orchestral front with this ambitious recording of Piano Concerts No. 1 and 2 and of the Rondò Brillant op.29. He is accompanied by the Residentie Orkest The Hague, a historical Dutch orchestra founded in 1904 that in the course of its activity has collaborated with great composers (Richard Strauss, Igor Stravinsky, Max Reger, Maurice Ravel, Paul Hindemith) and famous conductors (Arturo Toscanini , Bruno Walter, Leonard Bernstein, Hans Knappertsbusch). 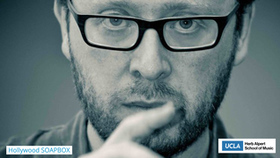 This recording was made under the baton of Jan Willem de Vriend, principal conductor of the orchestra, and also includes a superb reading of the Overture "The Hebrides" to complete the CD. 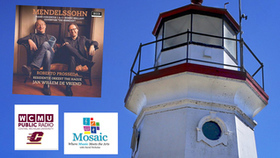 "Happy to debut this CD on Decca Classics of Mendelssohn, part of the Mendelssohn Project with pianist Roberto Prosseda."